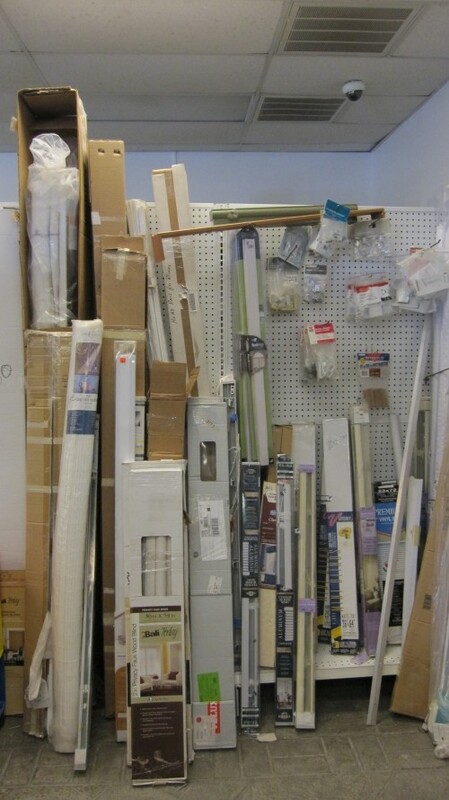 Assortment of blinds, shades, brackets. Please call for availability as these items are first come first serve. Habitat for Humanity ReStore is a non-profit retail outlet specializing in the resale of quality new and used furniture, appliances and building supplies at discounted prices.